Dr. Premi attended medical school at the University of Brescia (Italy) and completed his residency program in Neurology at University of Brescia (Prof. Padovani) in 2012. 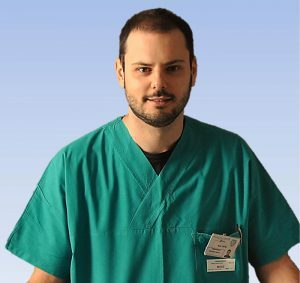 He currently has a permanent contract as clinical neurologist in the Stroke Unit, ASST “Spedali Civili” (Brescia, Italy), continuing his research activity in collaboration with the Neurology Unit, Department of Clinical and Experimental Sciences, University of Brescia. Since his residency period Dr. Premi’s research interests concern neurodegenerative diseases, in particular Frontotemporal Dementia (FTD) taking advantage of advanced neuroimaging techniques to explore structural and functional correlates of the disease. In the last five years he focused on the preclinical phase of FTD (studying presymptomatic carriers of FTD causative mutations) as well as on neuroanatomical correlates of Cognitive Reserve in FTD.